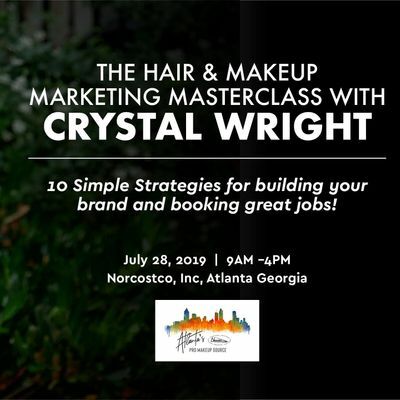 Norcostco Atlanta Costume proudly presents The Hair & Makeup Marketing Masterclass with CRYSTAL WRIGHT 10 Simple Strategies for Building Your Brand & Booking Great Jobs! This workshop is a game changer for makeup artists and hair stylists who want to make it in the entertainment industry. How to communicate your worth and add value in a way that resonates with producers. How to create and respond confidently to emails that people can’t turn away from. How to use old school and new marketing strategies to stand out professionally and artistically. A step-by-step storytelling strategy for curating your online portfolio, increasing your social media followers and engaging with clients who are excited about discovering you and your work. Six easy to follow rules of marketing engagement. To become more confident at setting and raising your day rate. You’ll leave this one-day, hands-on, interactive workshop with your business branding toolkit and marketing strategy in place, knowing exactly where to find the people who are hiring, how to contact them, what materials to send them, what to say when you do and when to follow up. 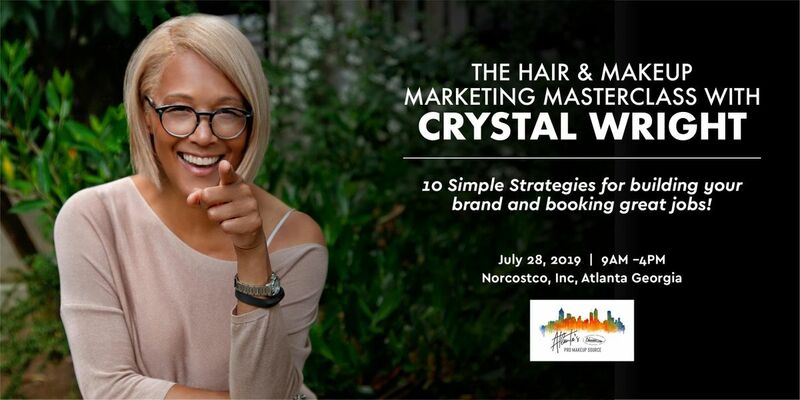 If you want to win some of the most coveted spots in the entertainment biz, join Crystal Wright for an amazing day of deep work on marketing your business, developing clarity in your brand, confidence in yourself and the courage to step up, speak out and become a leader in your market. This is an exclusive opportunity for a limited number of freelance beauty professionals.